Hong Ying is an internationally celebrated Chinese writer prominent internationally for her prose rather than her poetry. In her fifties, she belongs to a transitional generation of Chinese writers and intellectuals who were born and raised before and during the Cultural Revolution (Schaffer and Song). Having lived and written abroad, she is also a major transcultural writer intent on voicing Chinese women’s desire for “western modernity, female autonomy and sexual liberation, introducing previously tabooed themes that have become increasingly dominant within Chinese women’s literature” (Schaffer and Song, 19). Her autobiographical but novelistic retelling of her early life in Daughter of the River, written and published in the 1990s while she was still living in London, remains a confronting narrative about growing up in the slums of Chongqing in south–west China during the Cultural Revolution. It explores both the era and female identity in a realist prose that often uses strong imagistic language. Having begun her literary life as a poet, I Too Am Salammbo gives international readers in English an opportunity to familiarize themselves more completely with her poetry, in a diverse literary output that also includes essays and children’s literature. The collection gives readers familiar with her prose the opportunity to realize the extent of her imagistic imaginings in poetry. 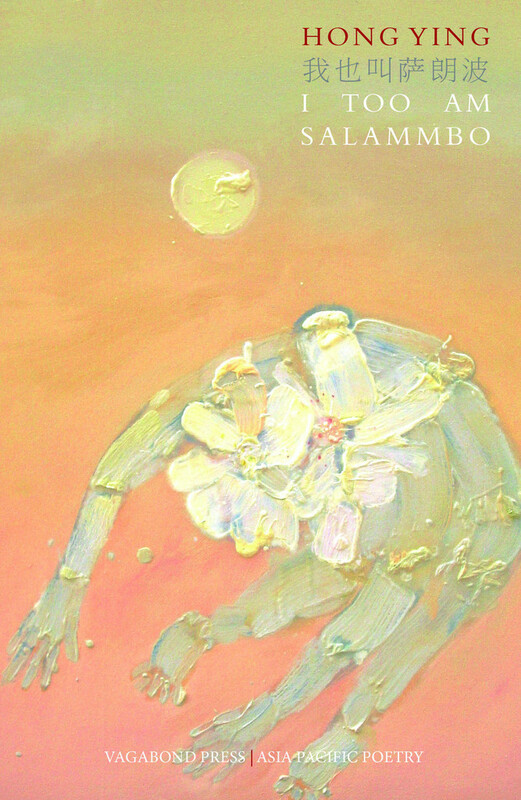 Translated by Australian scholar and translator Mabel Lee, I Too Am Salammbo is a retrospective collection of intensely personal poems written over more than two decades. The collection is based on Hong Ying’s 2014 Chinese edition of I Too Am Salammbo. With this translation, which follows an earlier translation of some of Hong Ying’s poetry into English, Lee and Vagabond Press have brought Hong Ying’s poetry to international attention. In her Introduction, Lee suggests that it is likely that her own early translations of Hong Ying’s poetry, which appeared in various Australian literary journals as early as 2000, “were the first time they had been published anywhere”. It is appropriate that Hong Ying’s poetry is receiving greater attention in English. According to Vagabond Press’s website, her first poetry publication was Cycle of Poems, published in a worker’s literary magazine, and in 1988, her first poetry collection, Bird of Paradise, appeared. In her detailed introduction to I Too Am Salammbo, Lee informs us that it was the publication of several of Hong Ying’s novels whilst she was living abroad that commended her to Chinese readers worldwide, and it was these novels, translated into many languages, which brought her to international attention. I Too Am Salammbo is arranged chronologically but in reverse order. It is also divided into five sections: Illegitimate Child (2007-2012), Lotus Prohibition (1999-2005), Scales of Grief (1990-1997), Butterflies and Butterflies (1992-1995), and Record of Nine Cities (1991). Death is part of the psychological configuration of many of these poems, especially in the first section. The opening poem, “Chongqing Slum”, registers that note of emotional shock that readers familiar with Daughter of the River already know: “He became part of the darkness …. when he died his laughter / Stabbed me”. In “Dreaming of Beijing”, the life force that is eros is drawn into death’s domain: “Before death we sisters will open our beautiful mouths / To spit out one man after another”. In the Lotus Prohibition section, some of the poems seem mythical, as if drawing on psychic realms beyond the day-to-day, while in Scales of Grief the poetry can take a surrealistic turn. The poems in Butterflies and Butterflies draw eros into the realm of the absurd. In the section’s title poem, Hong Ying writes: “I’m drawing a picture on your body / I move and you give a yell … the garden / I’ve drawn on your skin expands”. In the final section, Record of Nine Cities, the poet is already exploring those absurd turns that she activates more strongly in the earlier sections. In “Moscow”, she writes: “You and the city’s silhouette turn somberly to me”. Overall, the poems cross boundaries of self and place. In their reverse chronological arrangement, the poems challenge any simple notion of them as narratives of traumatic experience. They are testaments to the regenerative power of image to carry meaning. In her use of image, Hong Ying gives herself over to its figurative possibilities. In doing so, she pushes herself off the precipice of meaning and into the chaotic swirl of her experiences. Whilst it may not be possible to say what a particular poem is about, it is possible to perceive its imagistic and aesthetic integrity. Hong Ying’s imagistic play is not lost on Lee who argues that “in moments of heightened sensitivity she has grasped frozen fragments of her past and transformed these visual images into language”. This is potentially less verbal play and more imagistic re-articulation. Lee’s judgment that Hong Ying’s poetry is full of “striking visual images and theatre aesthetics” as well as “Absurdist realities” is evocative of the way that Hong Ying’s often-surreal images dislodge the poems from the real into the enigmatic. In doing so, she rejects an aesthetics of revelation in favour of an aesthetics of opacity. In conclusion, the collection should be read in the spirit of its own poetics, an enjoyment of its surreal images even as we glimpse the life of the poet in the exposition of its lines. Schaffer, Kay and Xianlin Song. Women Writers in Postsocialist China. Abingdon. Routledge, 2014. Tina Giannoukos is a poet and writer. She holds a PhD from the University of Melbourne. She is currently living and working in Beijing. This entry was posted in Hong Ying, I Too Am Salammbo, Issue 16, Tina Giannoukos, Vagabond Press and tagged Asia Pacific Poetry, Chinese Poetry, Cultural Revolution, Gustave Flaubert’, Mabel Lee, poetry, Poetry in translation by Mark Roberts. Bookmark the permalink.